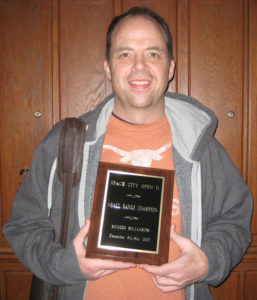 In only its second run, the Space City Open proved even more successful this year drawing twice the players and nearly doubling its inaugural purse, paying out right at $40,000. The amount of talent that encompassed this four-day billiard event was unsurpassed, a breathtaking demonstration of ability, enthralling countless fans and at-home viewers tuned in to the live, internet broadcast. 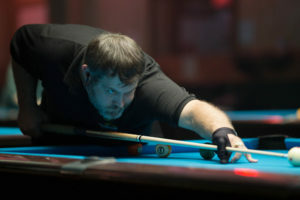 To that point, in a display of astounding skill and reserve, Charlie “Hillbilly” Bryant defended his open 9-ball title against Jeremy “JJ” Jones, blitzing Jones from the one-loss side 9-0, 7-0. 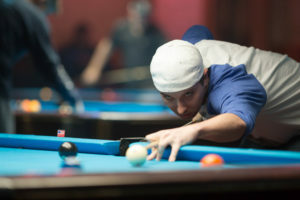 Renowned player Justin Hall took no prisoners on his path to winning the elite, One Pocket division with a final win over counterpart Joey Gray, 4-3. 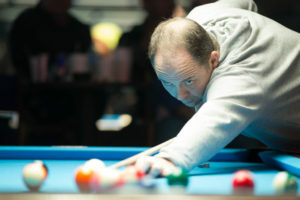 Former U.S. Open Champion Jeremy Jones went undefeated in the new, 9-ball banks division conquering famed Richie “Richie Rich” Richeson in the final, 3-1, to clench his first-ever 9-Ball banks title. Ming Ng rebounded from the one loss side in the ladies 9-ball division, cresting Kim Pierce, 7-4, 5-1, in the final, to join an illustrious group of Space City Open title holders. On December 5th-8th, 2013, Space City Open followers braved unseasonably cold temperatures due to a powerful, slow-moving storm that brought ice, snow, and bitter cold to North Texas, the same system prompting 1,650 U.S. flight cancellations and leaving tens of thousands of people without power. 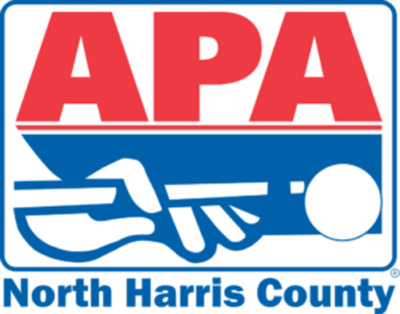 The weather deterred very few, if any, from attending the annual event held at host and sponsor room, Bogies Billiards and Sports Bar in Houston, Texas. Businesses behind the brawn of this year’s Space City Open included OnSitePool.com, APA of North Harris County, and GreatAmericanCues.com. Zachary Goldsmith of OnSitePool.com provided the impeccable 4-day live stream and professional event photos were captured by Michael Moon Photography. 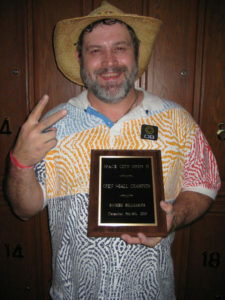 This year the Space City Open embraced its newest sponsors, HanshewCustomCues.com and OzoneBilliards.com. Ron Geyer Cue Repair, Joe Salazar Connoisseur of Custom Cues, and Great American Cues, were on-site, along with officiating referee, Derrell Montgomery of Conroe, Texas. 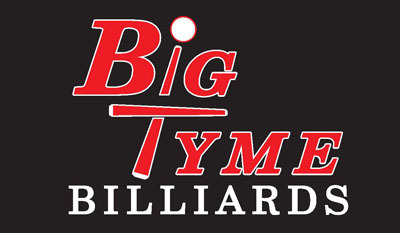 The 9-ball division drew 90 players competing over two days for almost $20,000 in purse money. Winners’ side action saw Joey Gray defeat Danny Bennett, 9-7, Justin Whitehead, 9-5, and surprise contender Bob Guzik, 9-5, while Jeremy Jones sent Charlie Bryant to the one-loss side, 9-7, along with Kentucky’s Skyler Woodward, 9-5, and Richie Richeson, 9-4. Robb Saez tore through the winners’ side annihilating a plethora of talent including Ernesto Bayaua, 9-4, Billy Sharp, 9-3, Dalton Riley, 9-3, and Blaine Barcus, 9-1, while Sylver Ochoa took down Mike Alonzo, 9-8, Cielo Velasquez, 9-6, and James Davis Jr., 9-8. In the final four, Jones went on to defeat Gray, 9-4, and Saez bested Ochoa, 9-5, pitting a hot seat match between two of the most seasoned professionals in the field. Tournament upsets included Justin Whitehead over Justin Hall, 9-5, Bob Guzik over Gabe Owen, 9-6, and Danny Roland over Cliff Joyner, 9-7. Joyner went on to eliminate Hall, John Lentini, 7-3, and Chase Rudder, 7-5, before being discharged by Bryant, 7-4. Bennett bested Port Arthur’s Randy Davidson, 7-4, and in turn was ousted by Richeson, 7-1. Joey Barnes won an impressive 7 straight matches including wins over Whitehead, 7-6, and Owen, 7-5, after losing his second round to Woodward, 9-7. Kentucky’s Robert “The Snowman” Frost won 6 in a row after losing his first round to James Davis Jr., 9-4. Frost suffered a final loss at the hands of Woodward, 7-1, who went on to eliminate James Davis Jr., 7-5, Joey Barnes, and Joey Gray, 7-2, while Bryant claimed Guzik, 7-1, Richeson,7-2, and Ochoa, 7-4, earning himself a face to face with Woodward. The caliber of play in the open 9-ball division easily rivaled that of any top, men’s event where one mistake can cost you the set. Players strung numerous racks, closing out sets, and sometimes shutting out their opponents. The final four players were no exception. On the east side, Jones and Saez made their way through their respective brackets with impressive numbers. Although both players seemed at the top of their game, the resident Jones pulled ahead of Saez resulting in a final score of 9-5. On the flip side, Bryant appeared unstoppable as he teed off for his eighth, straight match against a young, impressive, Woodward. In the first game, a missed opportunity by Woodward remanded him to his seat for the remainder of the set. These turn of events staged an all too familiar scene between Texas players Jones and Bryant. The crowd zeroed in on the two, pool powerhouses and watched intensely as Bryant jumped to a 4-0 lead. Following a brief, safety exchange, Bryant secured the fifth game. From that point on, Jones never made it back to the table. In the second set, Jones reached the table only once, in the third game. Bryant played flawlessly, stringing the first two racks and closing with the last four. The 32 player One Pocket field featured an all-star cast with phenomenal talent going head to head in a test of wills and stamina. On the final four winners’ side, Joey Gray and Joey Barnes crossed paths while Robb Saez went head to head with Justin Hall. Gray’s wake of destruction included Cliff Joyner, David Parker, and Sylver Ochoa, as Hall defeated Richie Richeson, defending champion Jeremy Jones, and Skyler Woodward, none of which made it past 2 games. Upsets included Robert Frost over Gabe Owen, 4-1, and Roy Payton over Billy Sharp, 3-2. Owen eliminated Payton, and in turn, was sent home by Joyner. Barnes dealt Charlie Bryant a third round blow, 4-3, who then vanquished Joyner from the one loss side, 3-1. Ochoa overcame Jones, 3-2, and followed with Bryant, 3-0. After his first round loss, Richeson came back with 5 straight matches including wins over Frost and Woodward. Back on the east side, Gray dismissed Barnes, 4-3, and Hall reigned over Saez, 4-2, yielding a television worthy, hot seat match-up. On the one loss side, final four action saw Ochoa eliminate Saez, 3-2, and Richeson win his sixth, consecutive match against Barnes, 3-2. During the hot seat match, with two, true professionals at the helm, the moves were tight and controlled. Relentless in his pursuit, a disciplined Hall derailed Gray, 4-2. On the one loss side, Ochoa stopped Richeson in his tracks, 3-1, only to be eliminated by a resilient Gray, 3-0. During the final match, Gray appeared eager to take control, but Hall was persistent. Tied at 3, it was down to the wire with both players fighting for every, last ball. 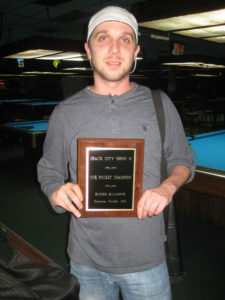 In similar fashion, Hall overcame Gray, 4-3, winning his first Space City Open One Pocket title. The new, 9-ball banks division (originally limited to 16) drew 25 entrants on Thursday afternoon, kicking off Space City Open. Jeremy Jones made his way to the hot seat with wins over Joey Barnes, 3-1, and Cliff Joyner, 3-1, while Tom Mooney defeated James Davis Jr., 3-2, and Chase Rudder, 3-0. After a third round loss to Rudder, Robert Frost terminated Joey Gray, 3-0, and Joyner, 3-0, while Richie Richeson was on a roll, again, winning 4 consecutive matches after a first round loss to Justin Whitehead, 3-1. Frost made number 6 on Richeson’s hit list. The hot seat match saw Jones defeat Mooney, 3-2, who was subsequently eliminated by Richeson, 3-1. Richeson’s raid lasted 7 straight matches, but no more. Jones commanded the final set, besting Richeson, 3-1. 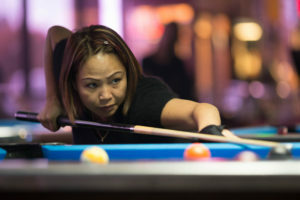 Rounding out the event, 21 women battled it out on Sunday for the ladies 9-ball title. After decimating the field, players Teresa Garland and Kim Pierce overwhelmed Heather Bryant and Ricki Casper, 7-3, 7-4, respectively, to face-off for the ladies hot seat. Ming Ng took a first round hit from Belinda Lee, 7-6, who in turn lost the following round to Bryant, 7-6. Framing up the one loss side final four was Nayla Hoak who took an early 7-3 hit from Garland, and Lorna McEwan, bested by Bryant in the same round, 7-2. Ng went on to defeat Lee, 5-1, and Bryant, 5-3, culminating 5 straight match wins. Hoak beat McEwan, 5-3, but fell to Casper, 5-4. The seemingly indomitable Pierce defeated Garland for the hot seat, 7-3, while Ng made Casper her sixth victim, 5-4. Ng eliminated Garland, 5-3, staging a premier match between two of the division’s finest players. You could cut the tension with a knife as both players traded innings, and racks. Ng dealt Pierce a blow, winning the first set, 7-4. Finding it difficult to regroup, Pierce lost the second set, 5-1.